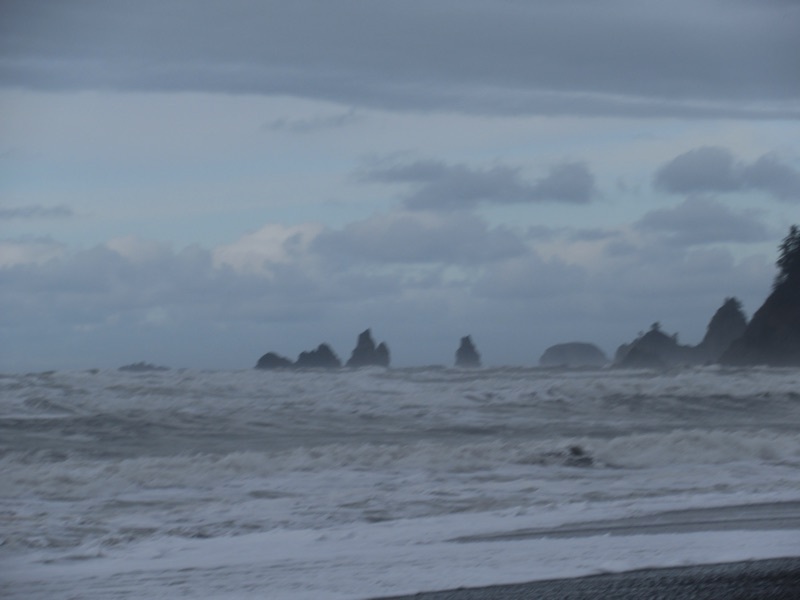 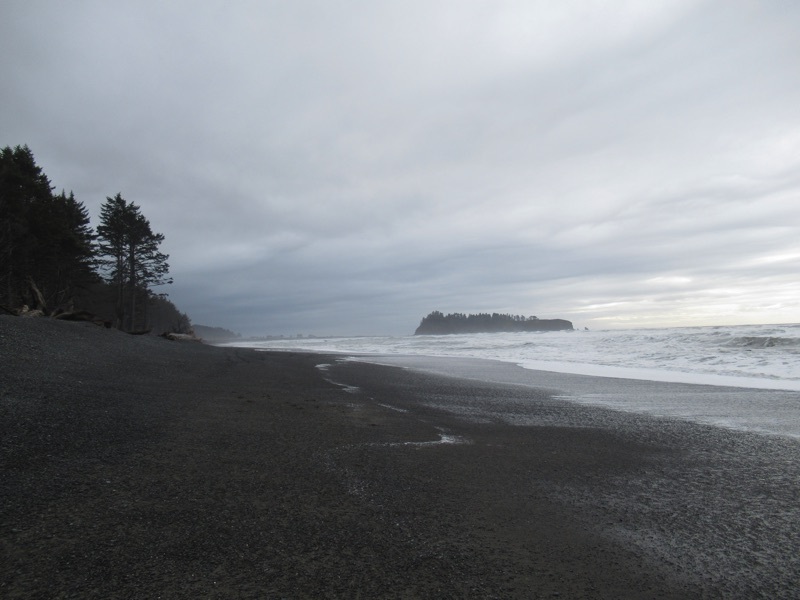 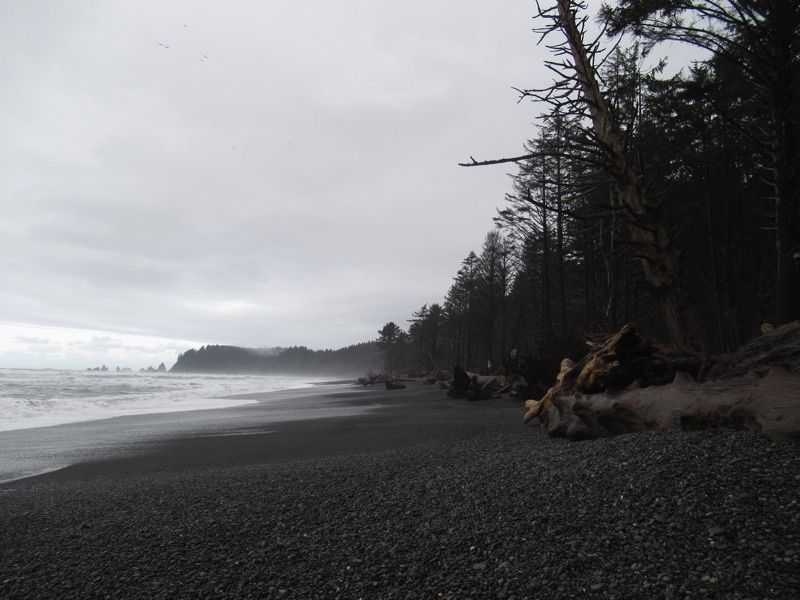 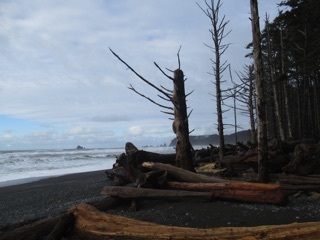 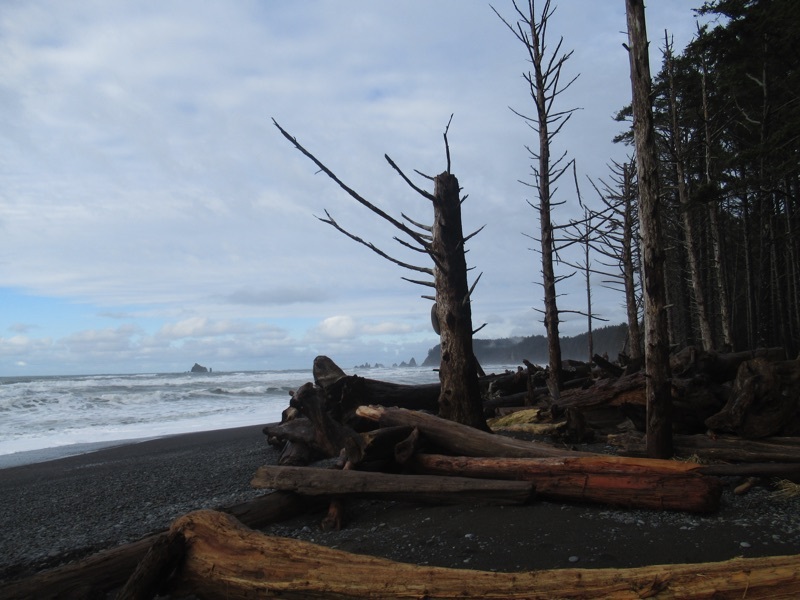 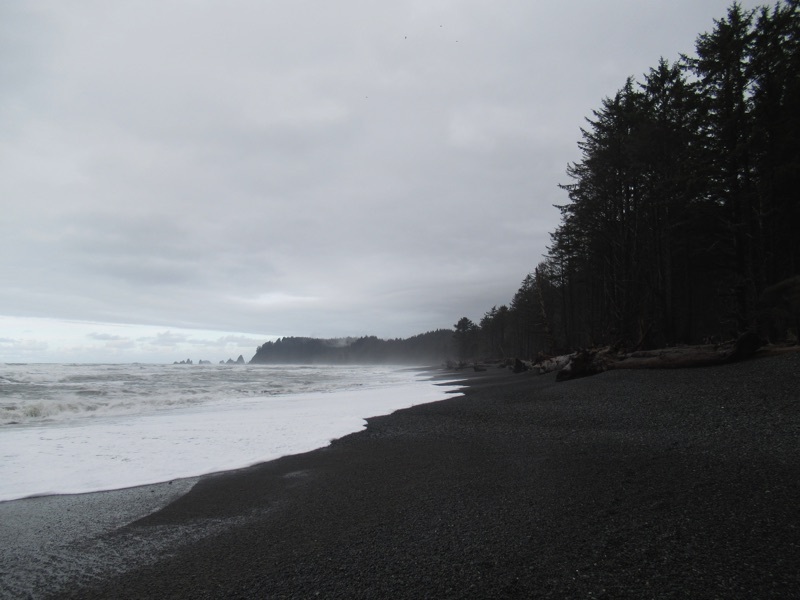 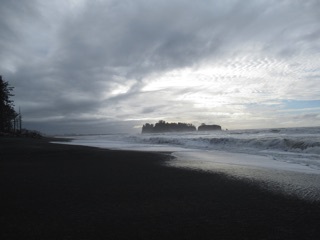 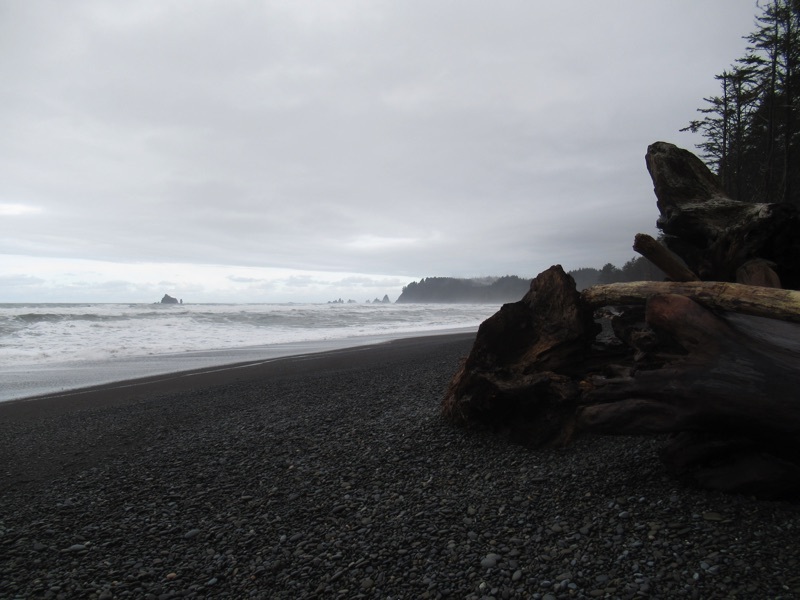 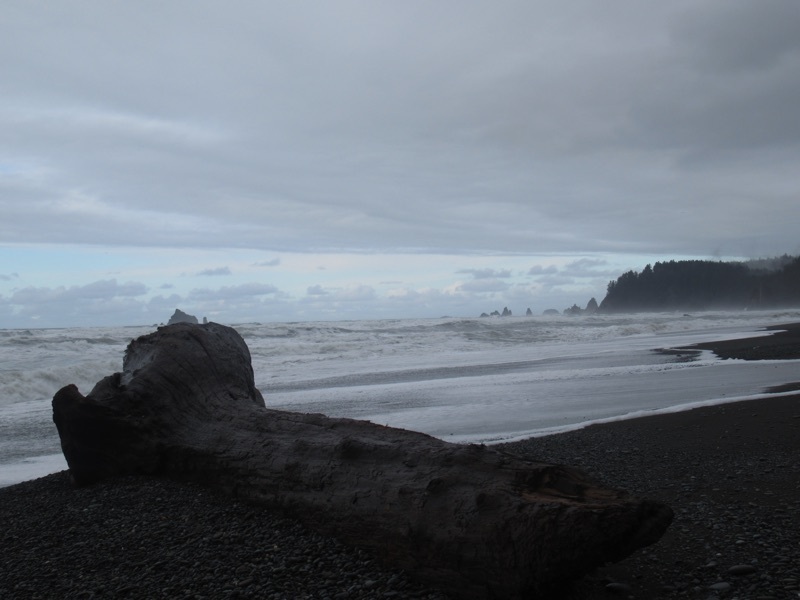 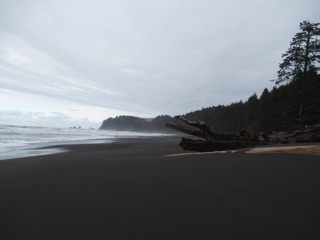 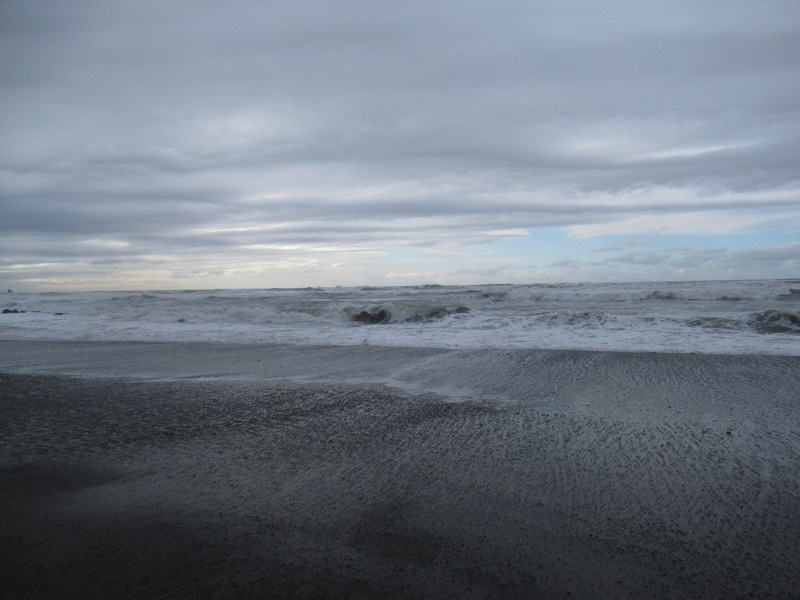 We took a short journey out to Rialto Beach on a gray drizzly day. 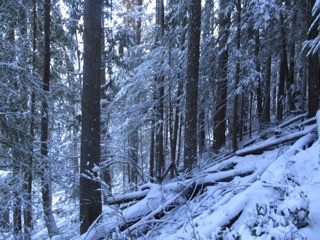 The winter light was fantastic, almost unreal. The sea was wild and open. The sky was full of clouds. 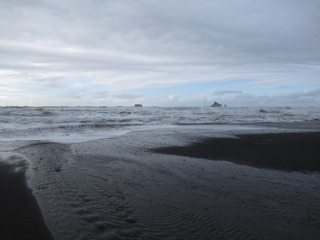 We didn't get all that far in the wind and spray, but it was a wonderful walk. 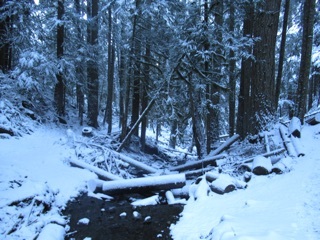 We've had a bit of snow lately, so we went for a walk in the woods. 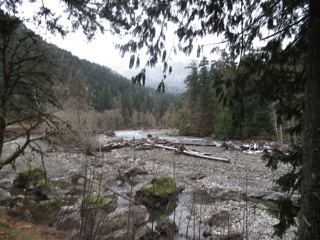 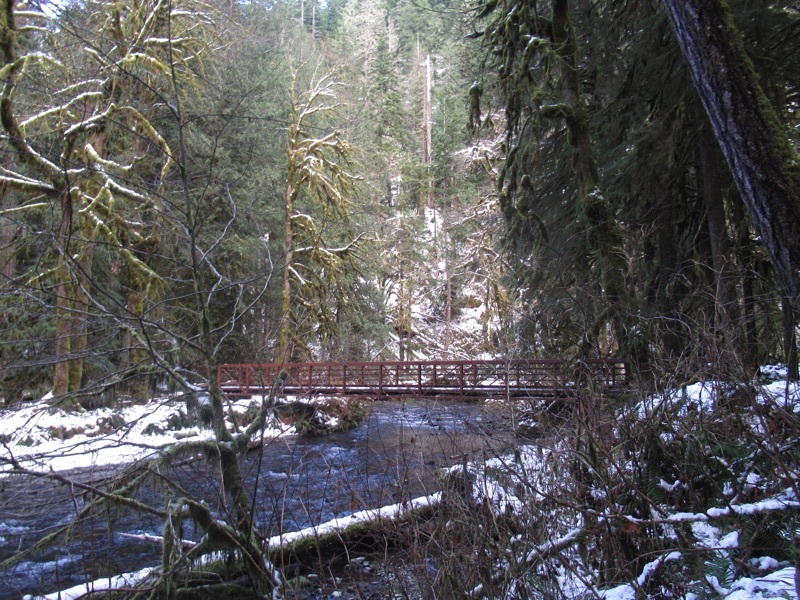 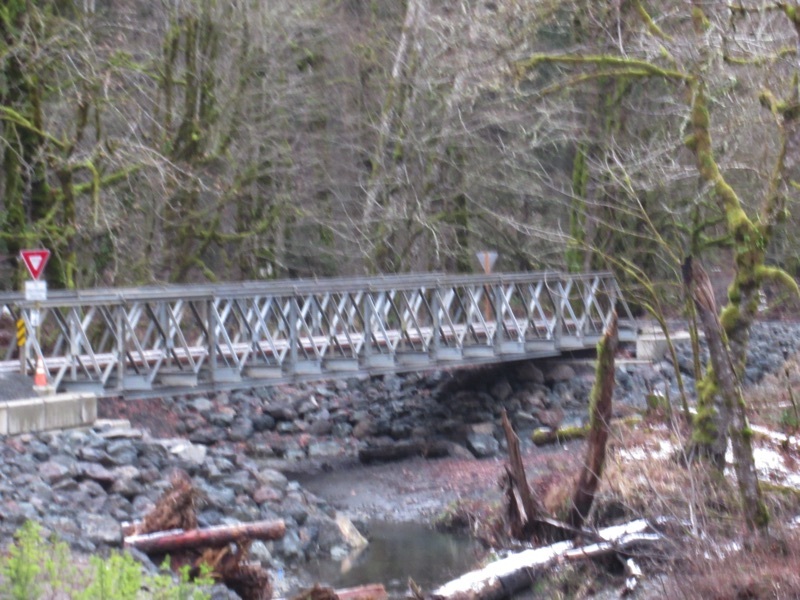 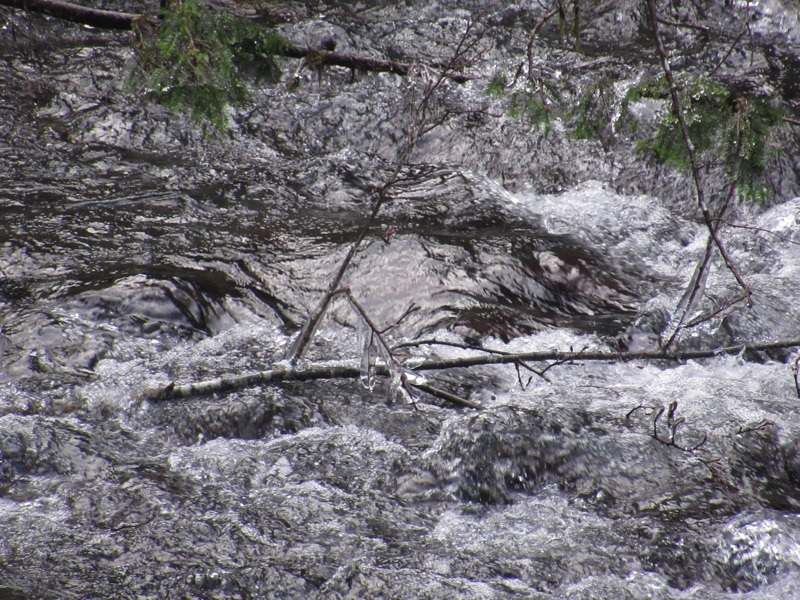 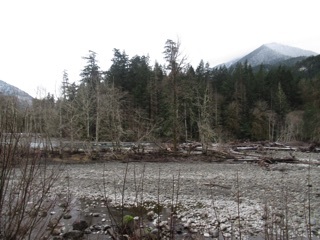 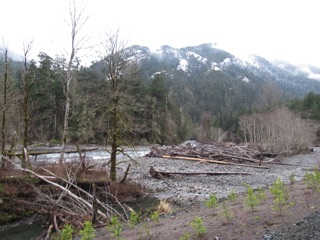 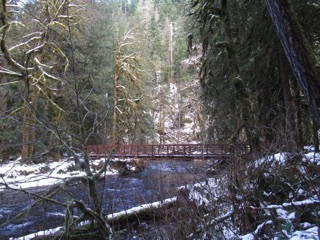 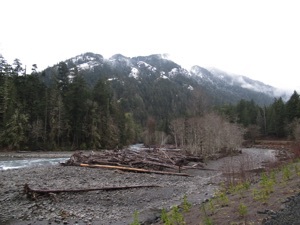 We took the Barnes Creek trail, but we didn't make it to Marymere Falls. The footbridge was just too icy for us. 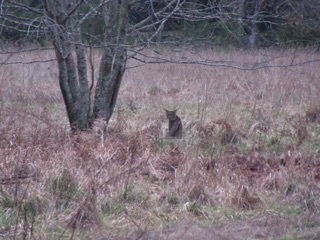 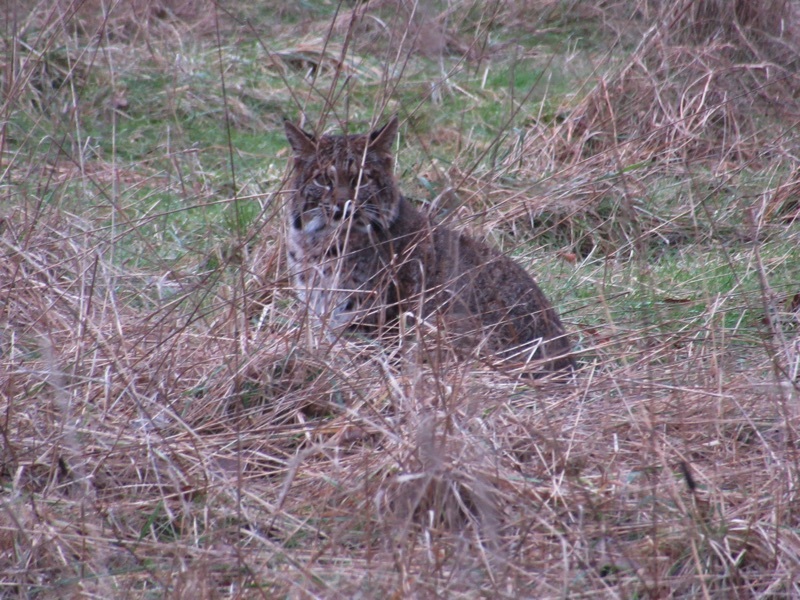 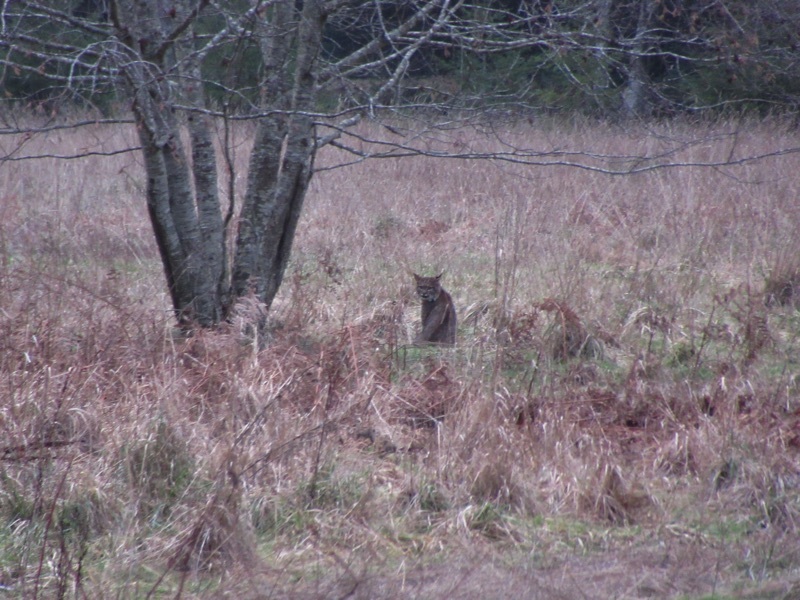 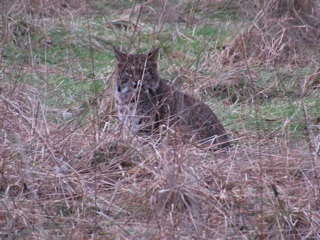 Still, it was worth the walk. 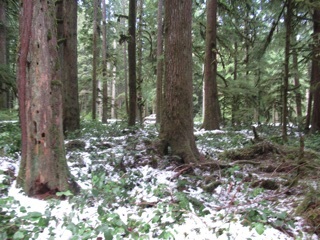 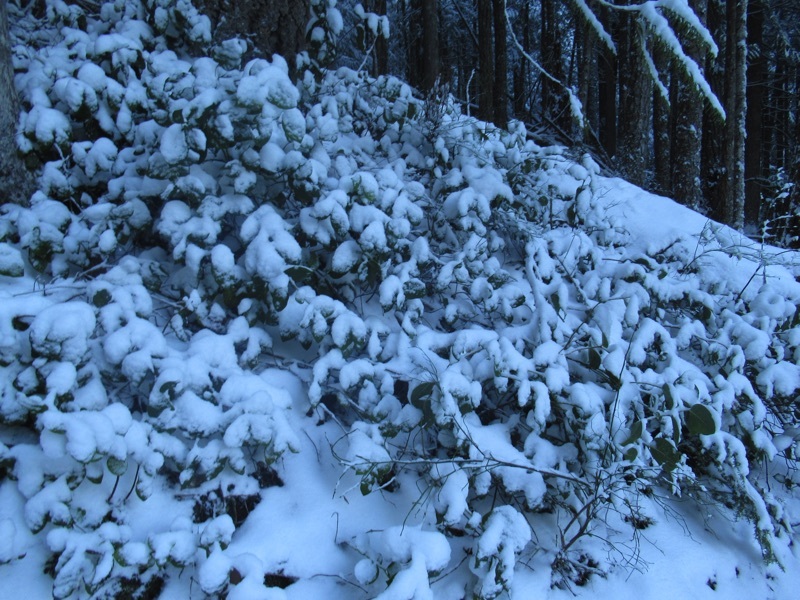 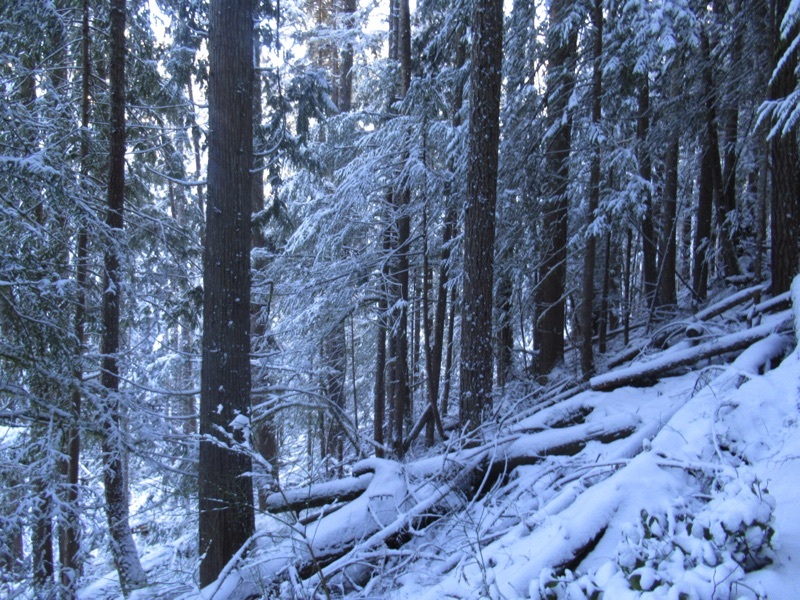 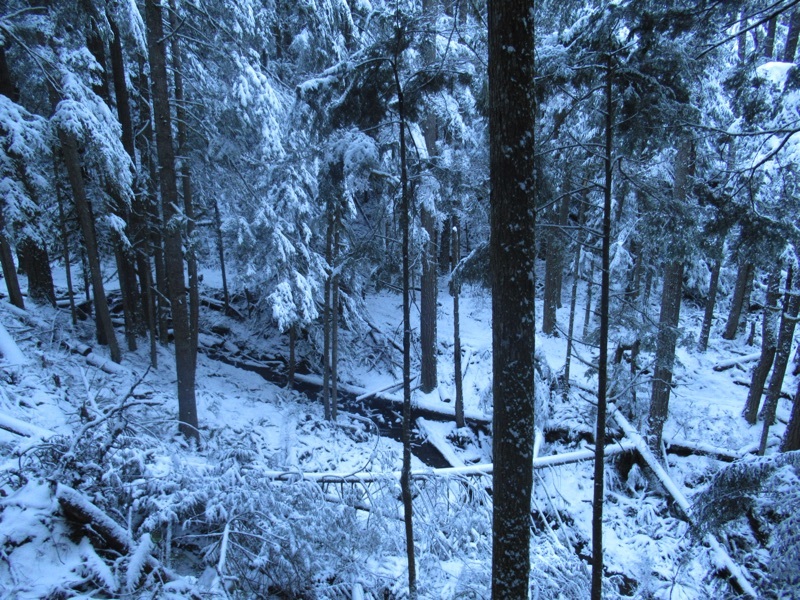 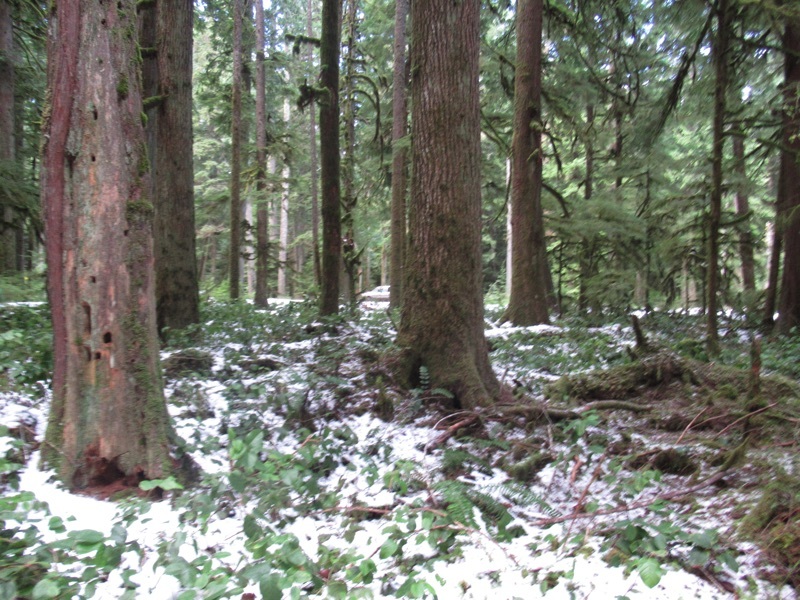 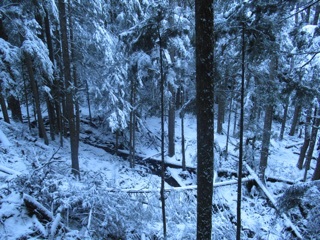 The snow fall in the forest was beautiful. 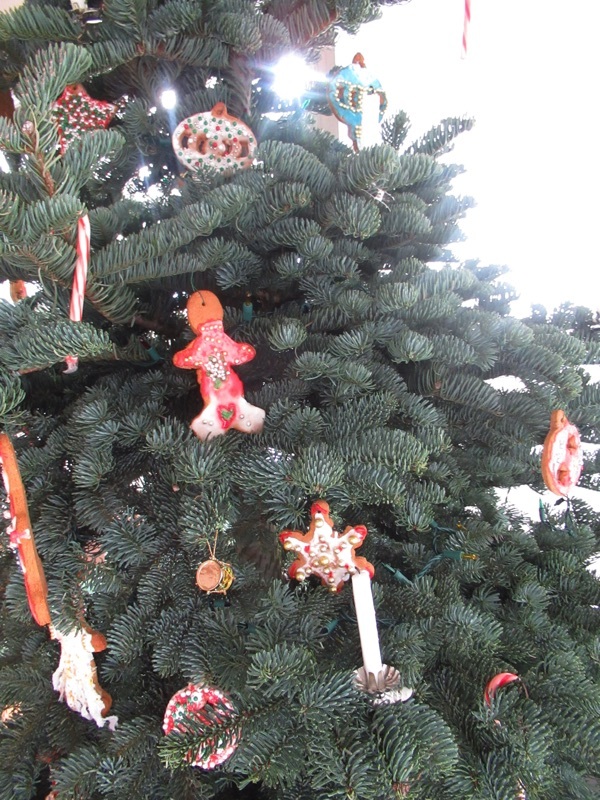 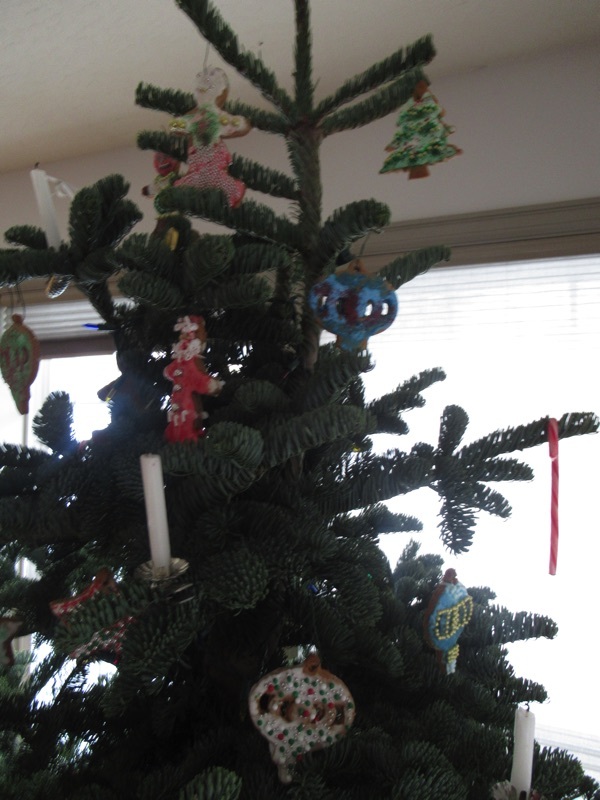 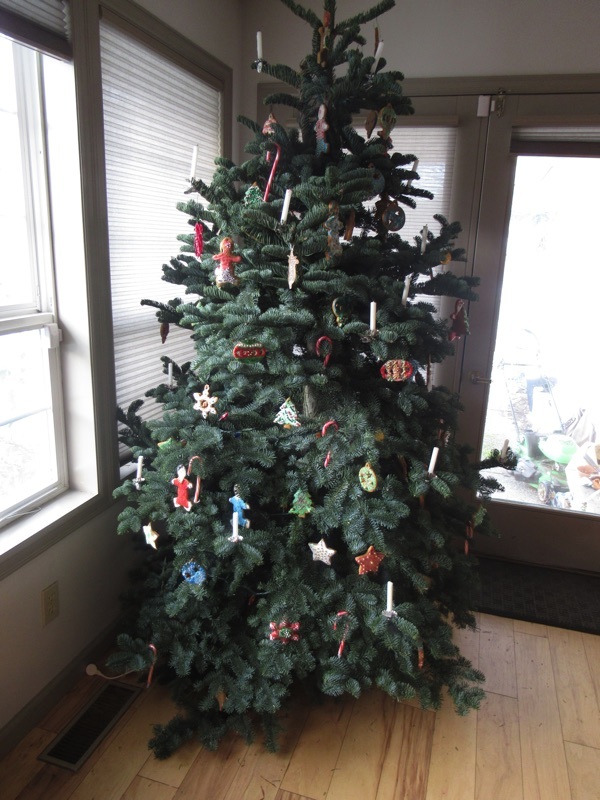 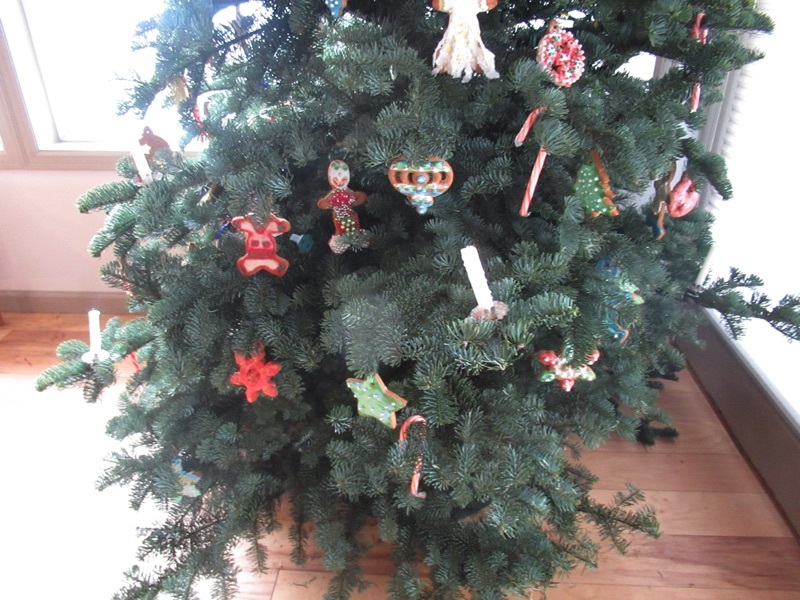 We've got both trees up and decorated. 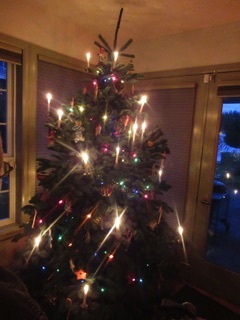 The little tree, the one with the candles is decorated with gingerbread cookies lovingly decorated by our friends who are by far more talented than we are. 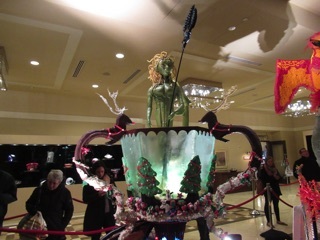 We provide the cookies and the colored ices, but our friends provide the love and imagination. 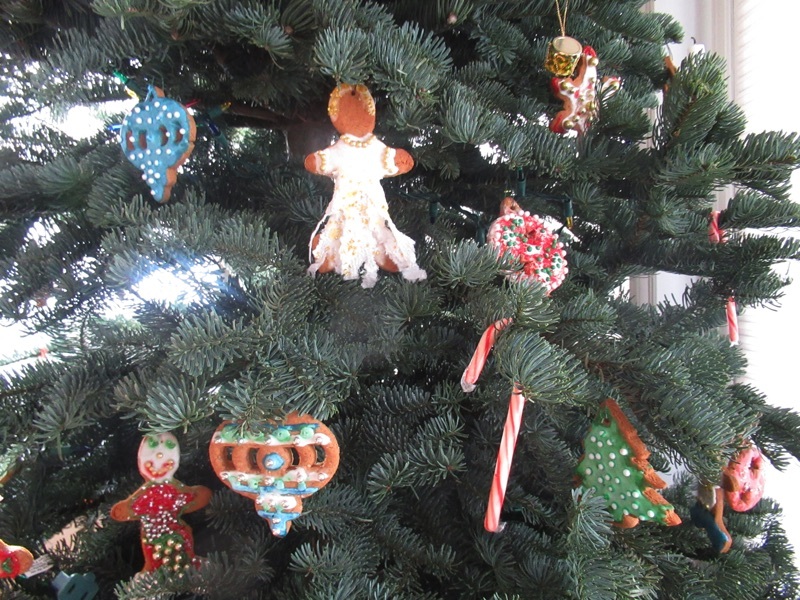 Every year we hold our cookie party, and our table is surrounded by careful artisans decorating cookies, pausing only for a sip or two of champagne. When the sky darkens, we light the candles and celebrate the start of winter and the coming end of the year. 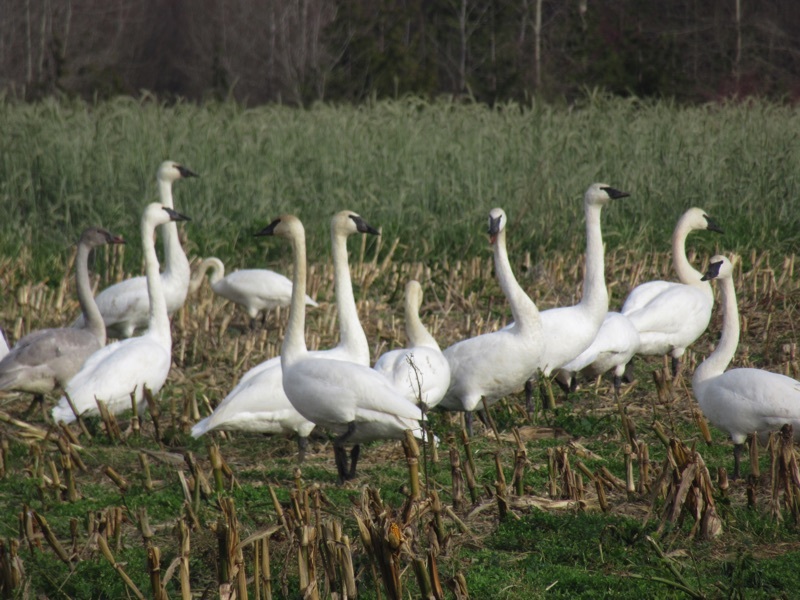 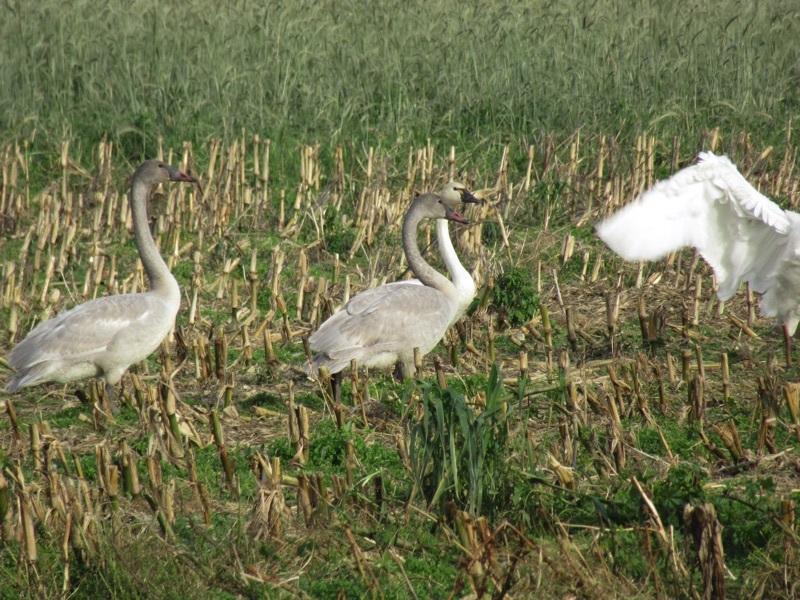 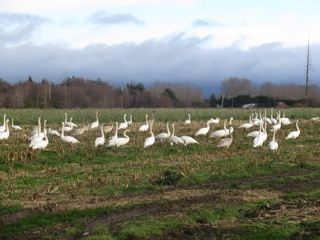 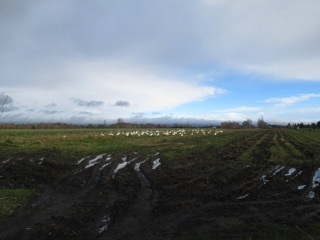 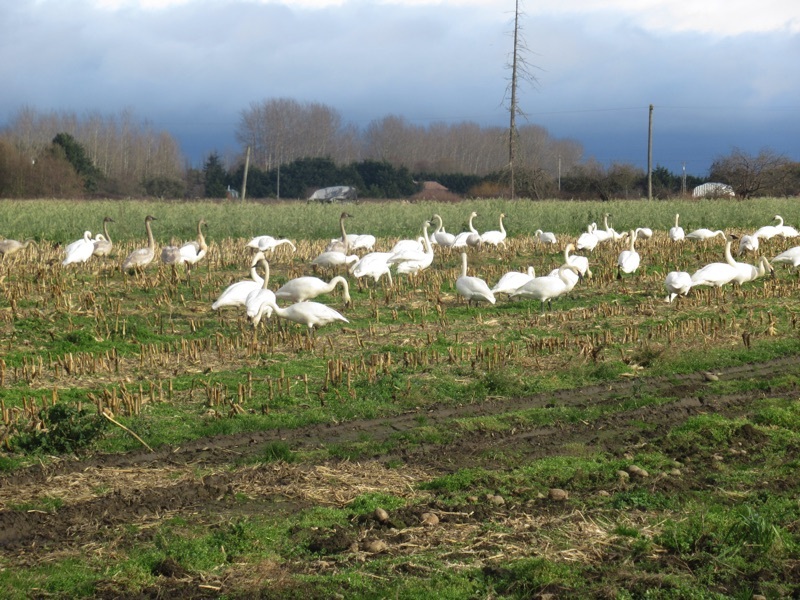 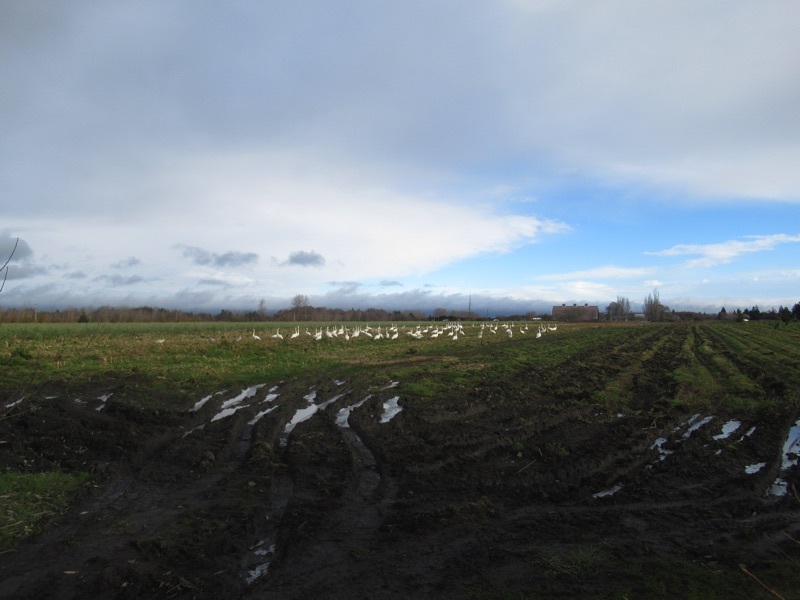 The swans were back on Towne Road, or rather, on one of the fields next to Towne Road in Sequim. 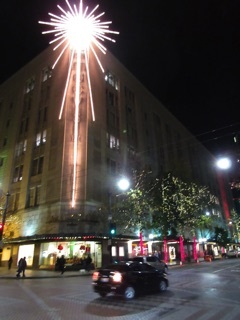 We had to stop and take a good look. 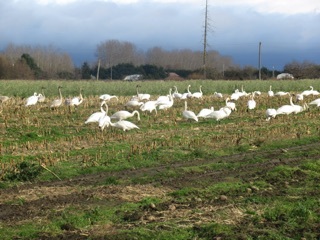 They are one of the great pleasures of the winter season. It's sort of a rest stop for them. 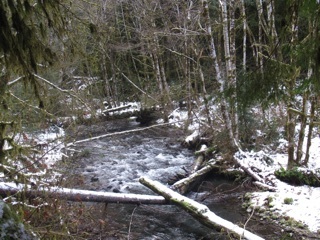 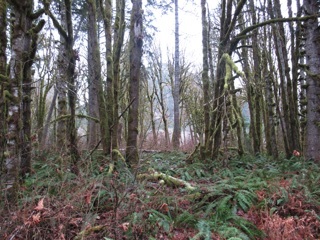 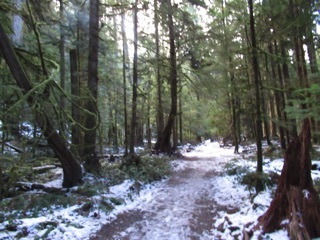 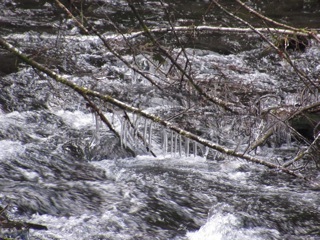 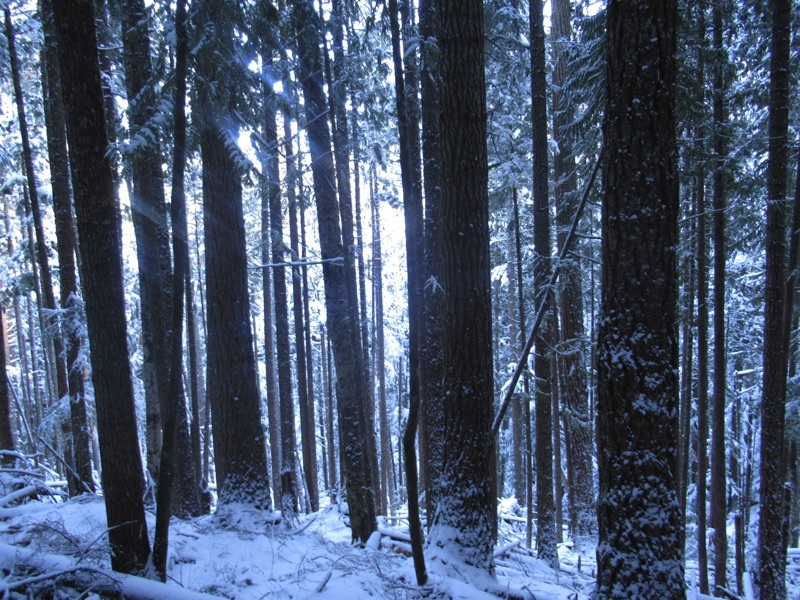 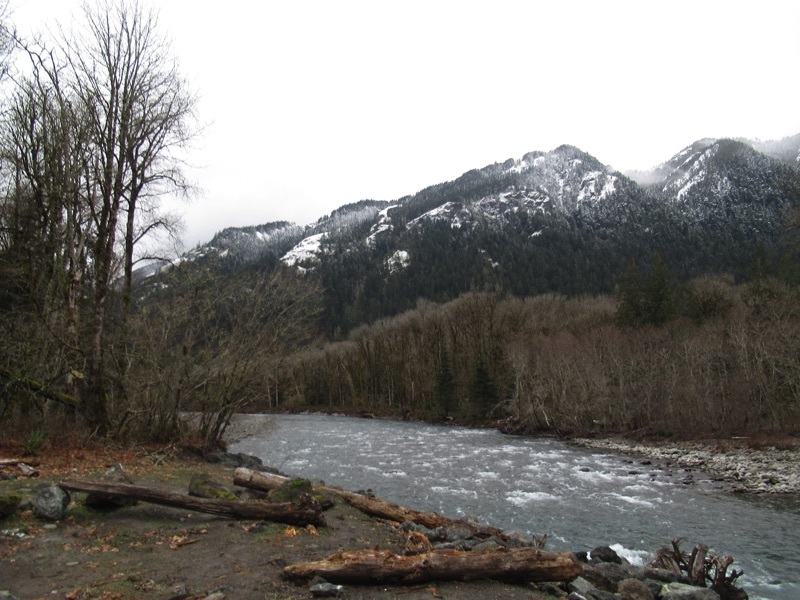 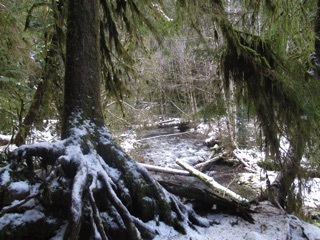 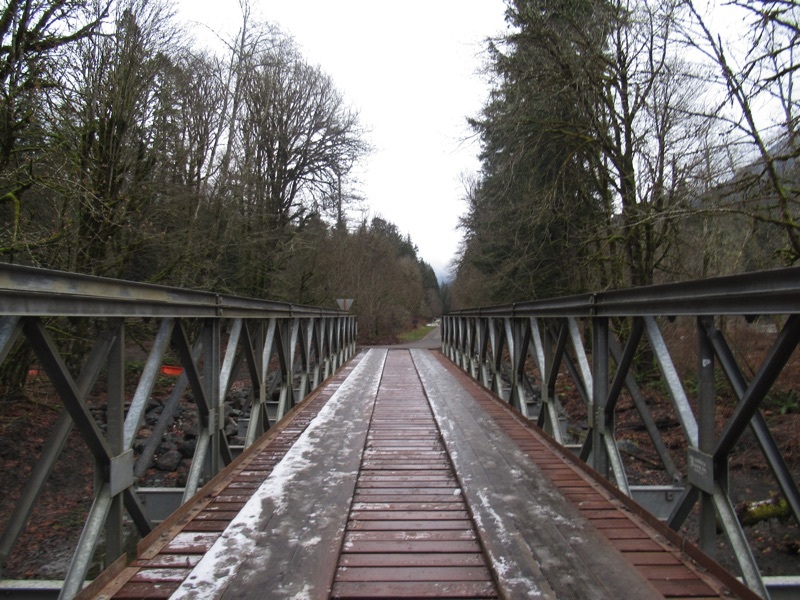 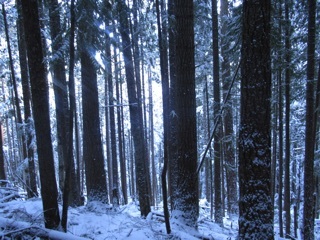 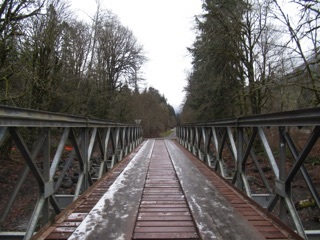 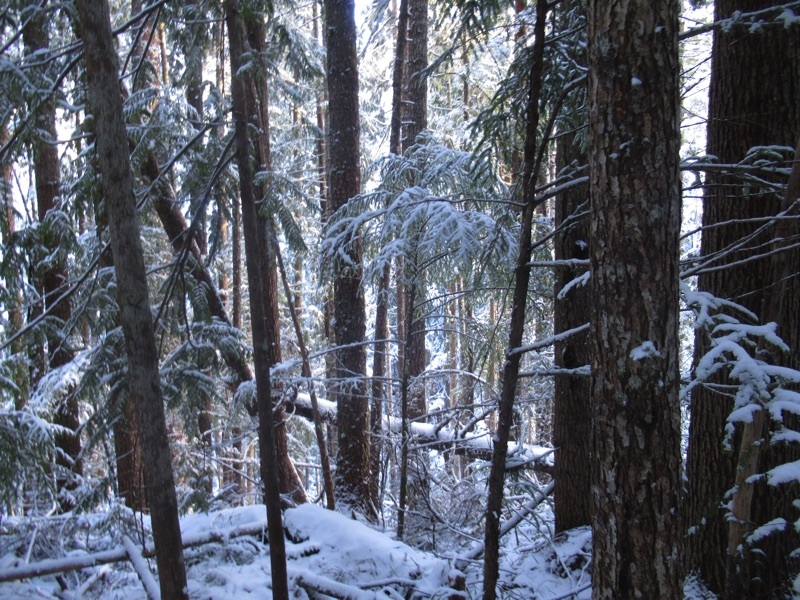 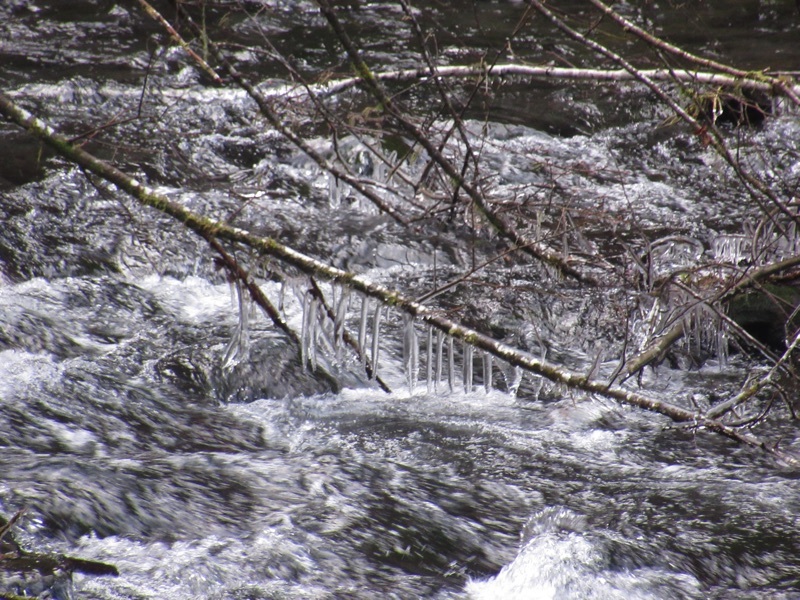 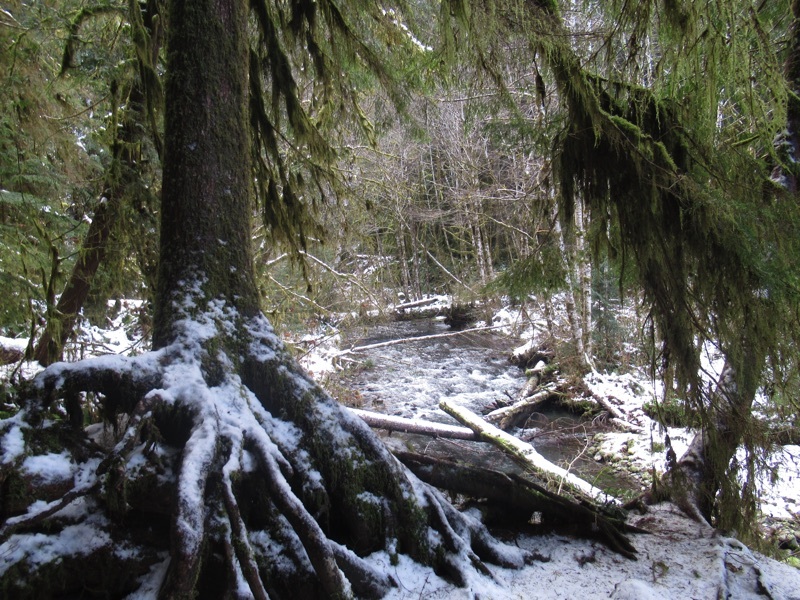 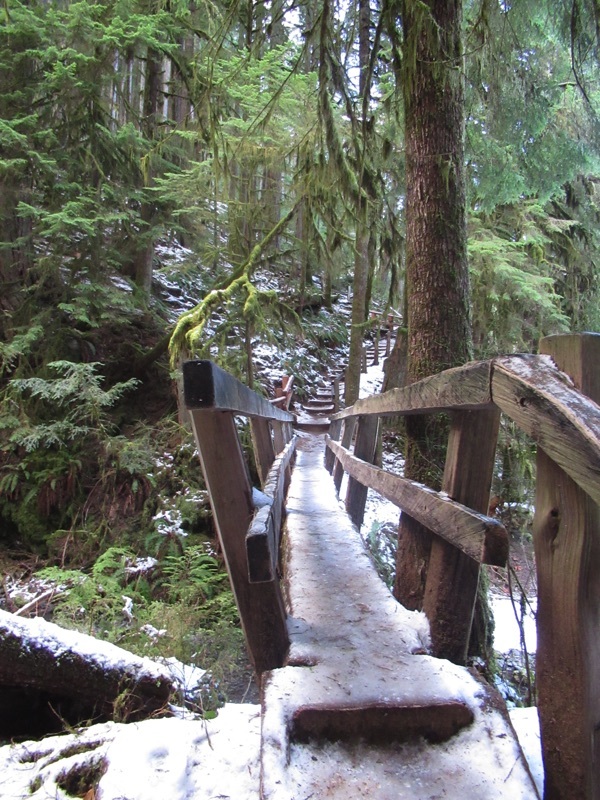 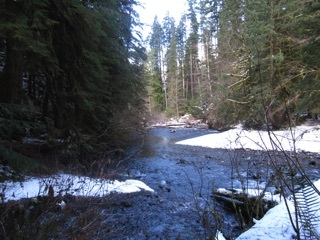 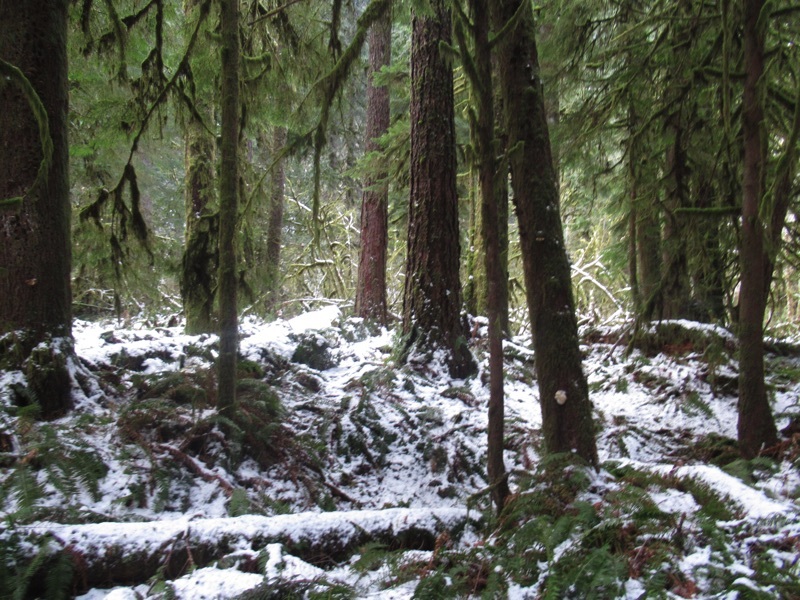 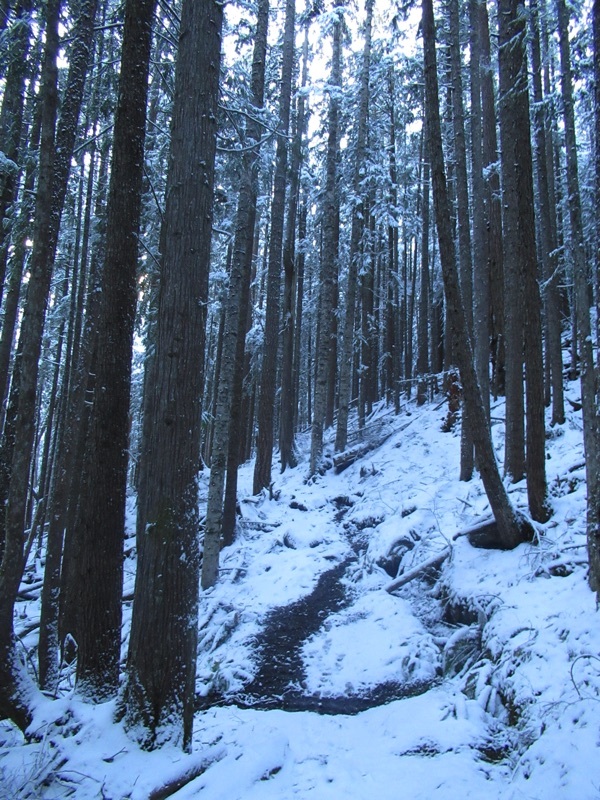 We took advantage of the early snow to check out our snowshoes on the Lake Angeles Trail. 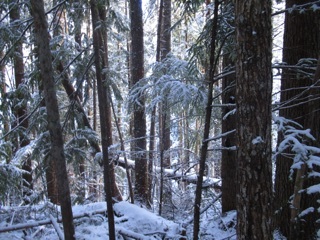 We only climbed about 500' or so, but others had made it to the lake. 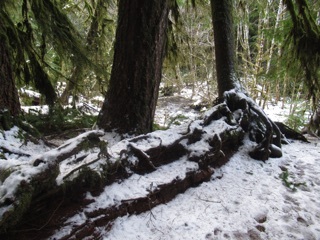 They just wore hiking shoes. 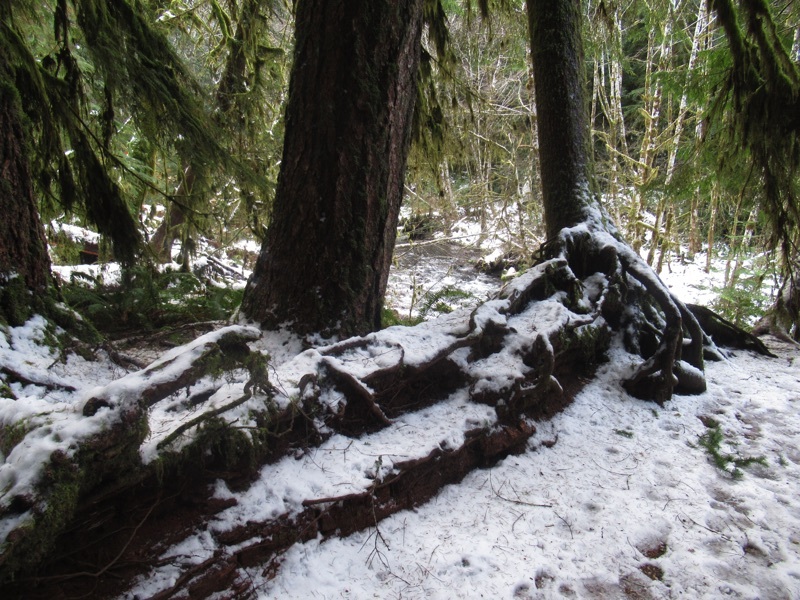 No snowshoes for them. 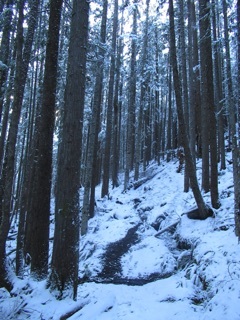 It may be a while before we make it back up to the lake again, but as far as we are concerned, the trail is a winter wonderland. 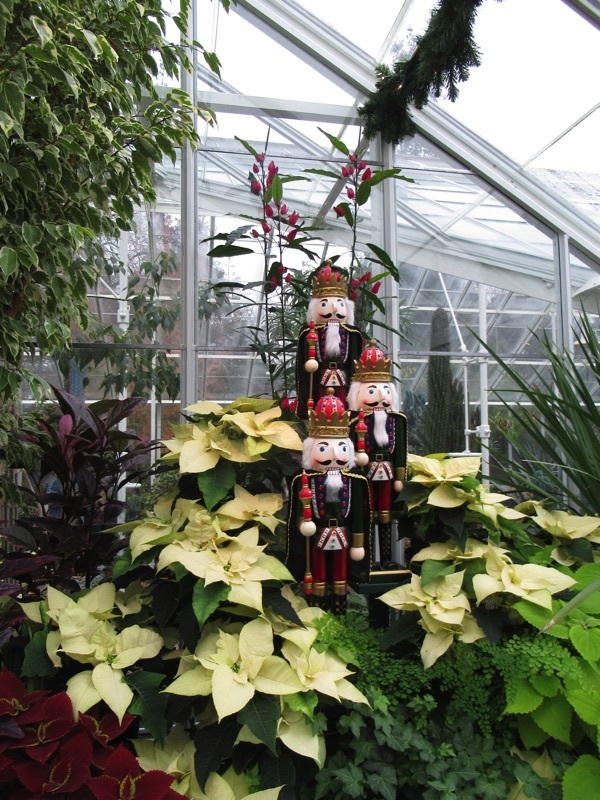 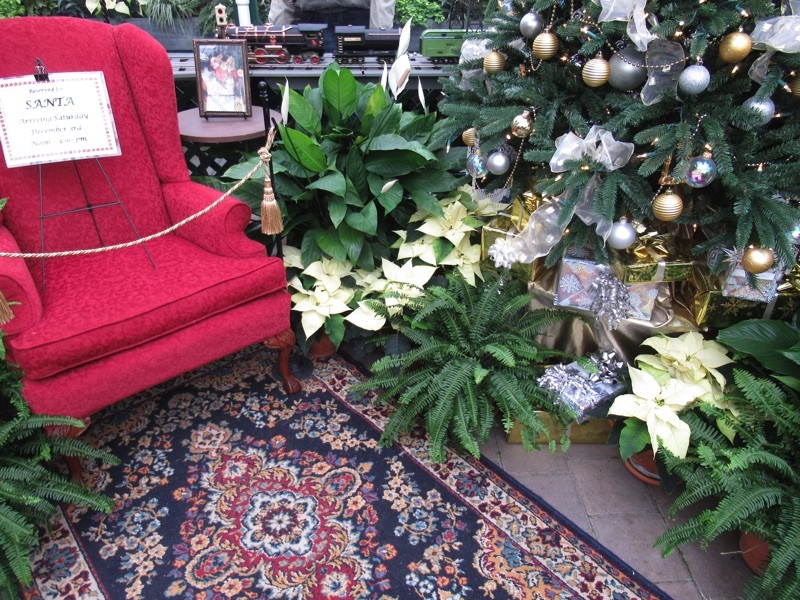 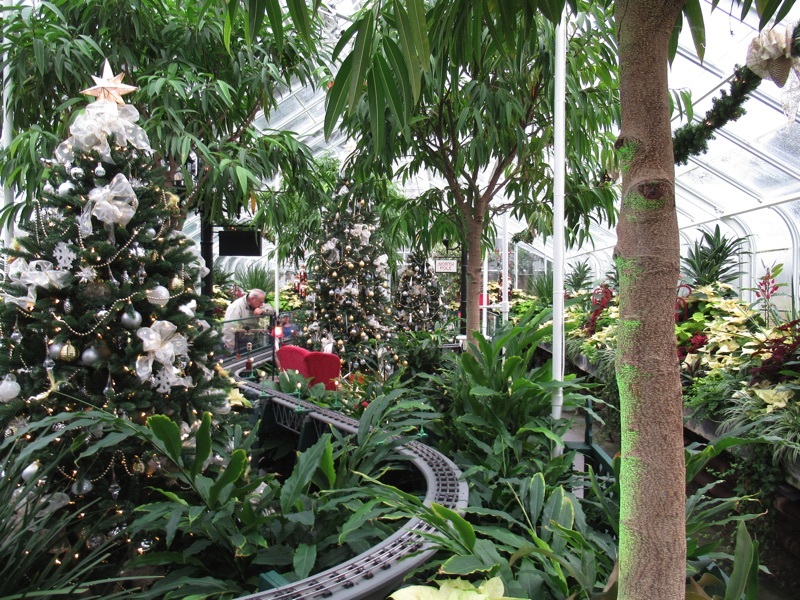 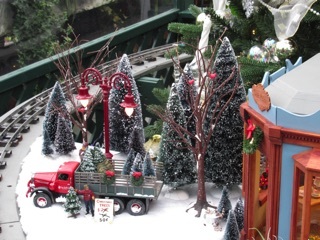 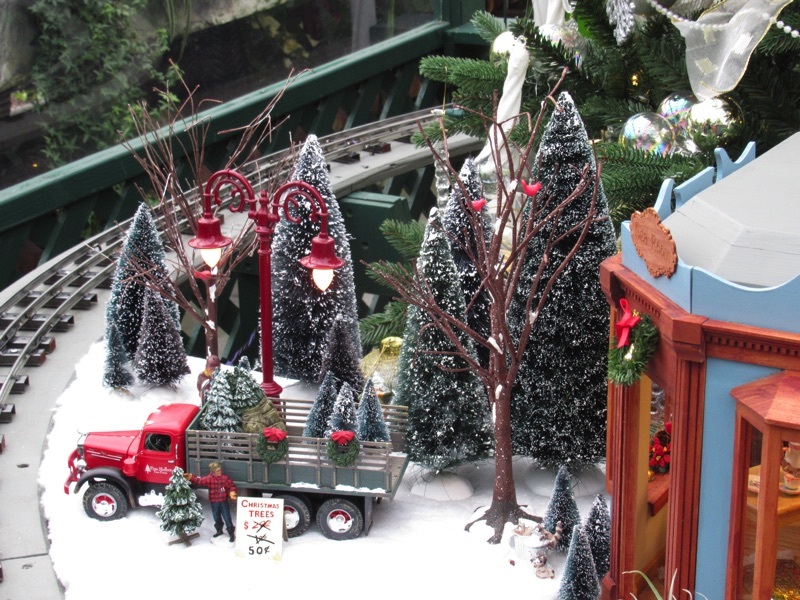 Every Christmas we try to check out the seasonal display at the Volunteer Park Conservatory. 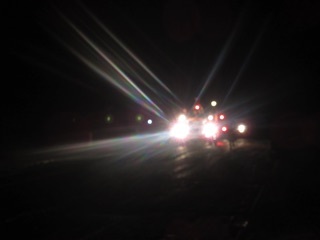 Sometimes they are closed for remodeling or the like, but this time they were open, and the train was running. 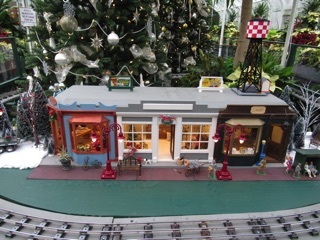 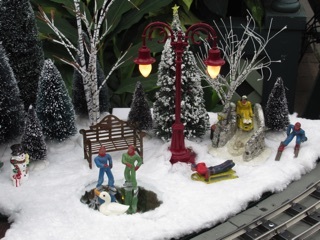 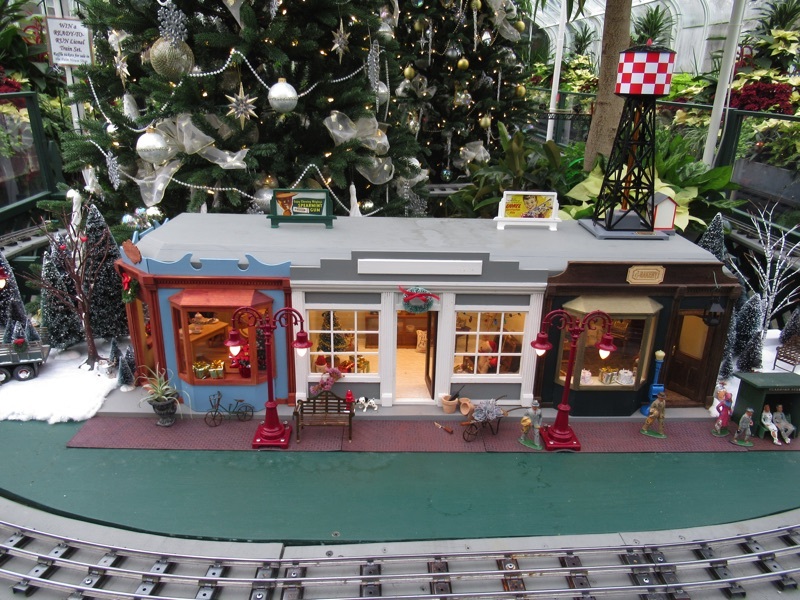 We admired the orchids and carnivorous plants as we always do, but particularly enjoyed the charming Christmas village. 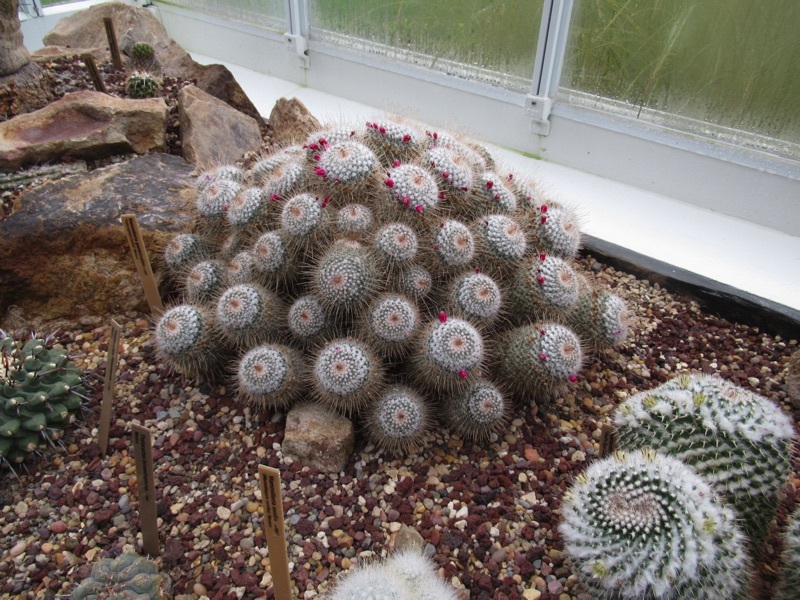 Then, we warmed up with the cactus. 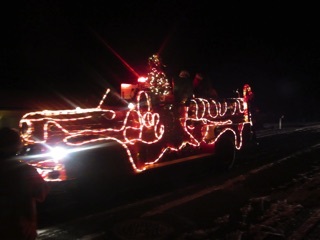 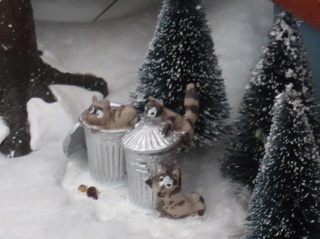 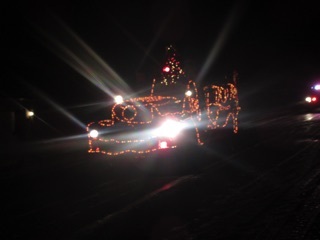 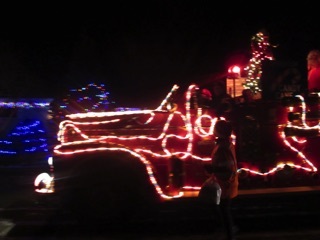 We almost missed the Christmas raccoons. 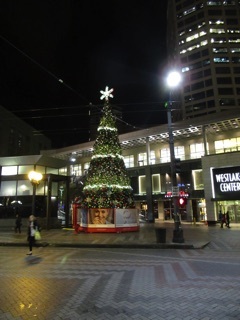 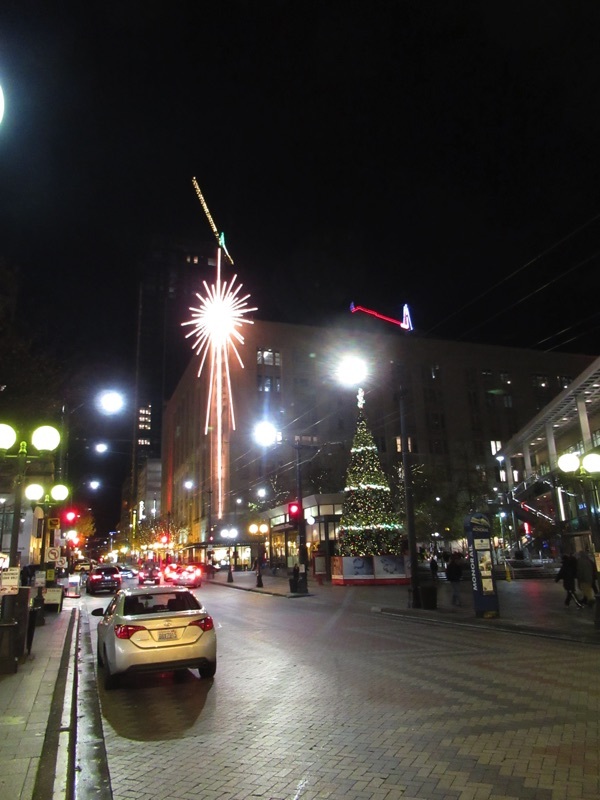 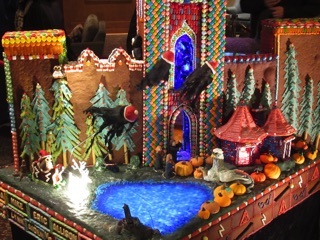 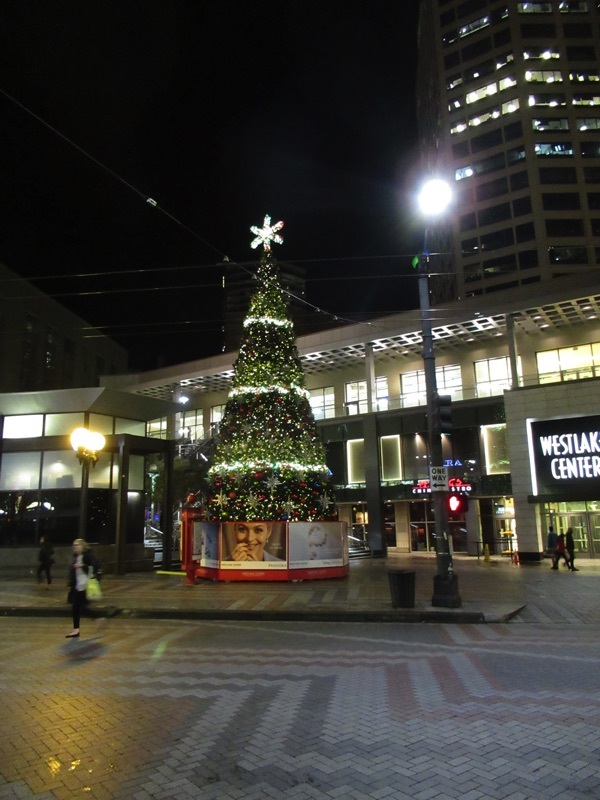 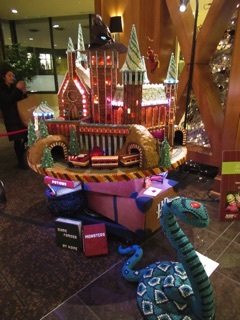 Here is some more Harry Potter in gingerbread and some more Seattle street scenes around Christmas. We are definitely getting into the spirit of things. 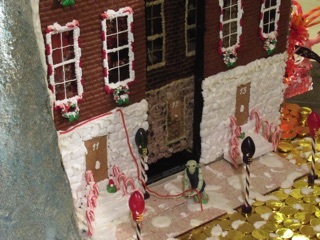 We love the little details. 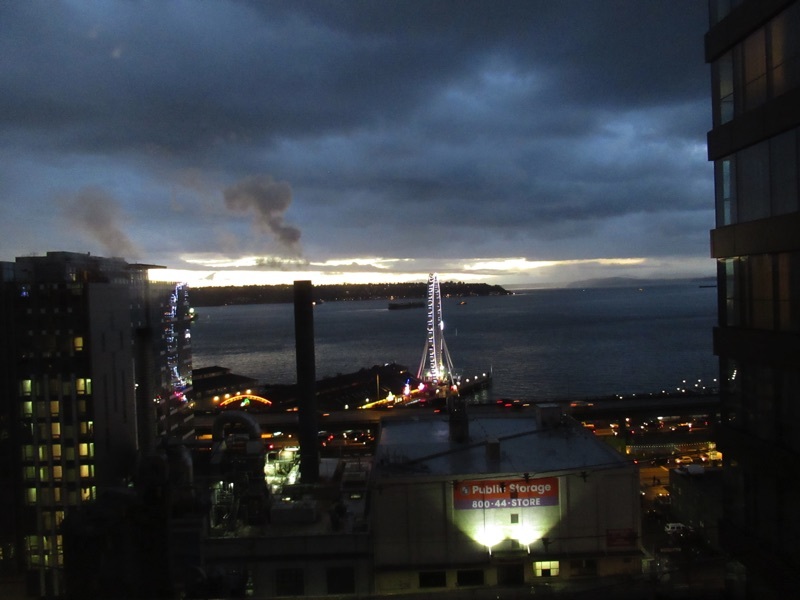 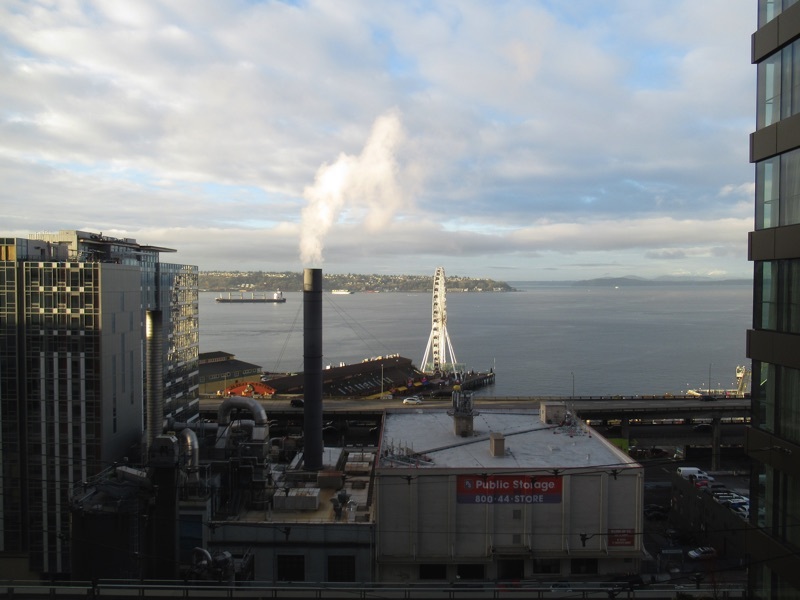 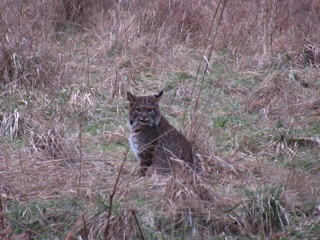 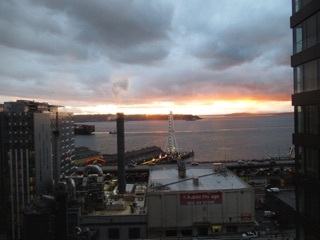 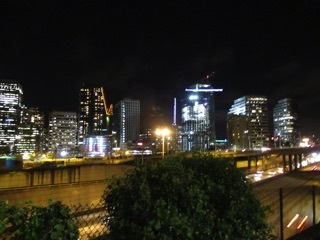 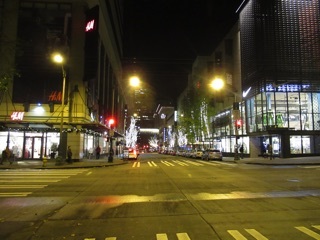 We are just back from a few days exploring Seattle. 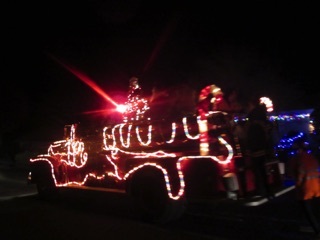 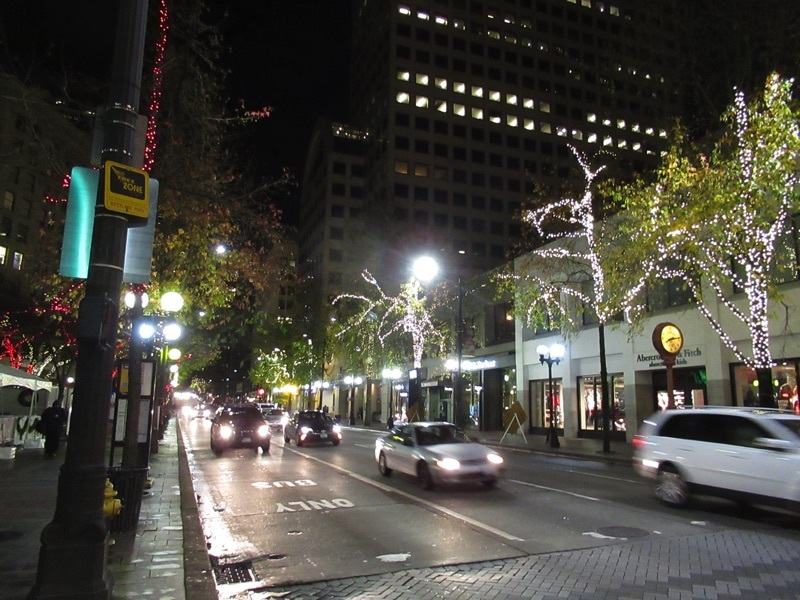 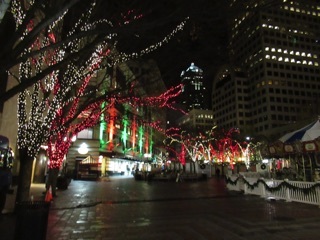 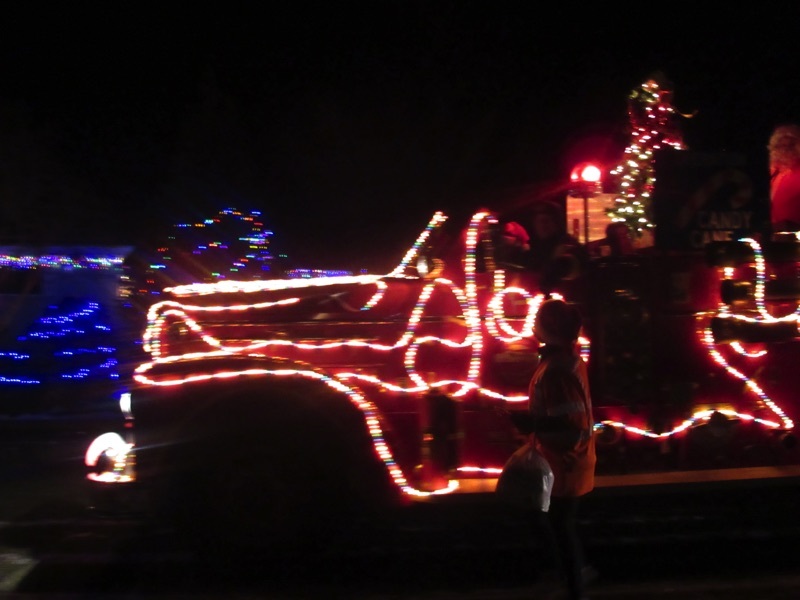 We love the city around Christmas. It really makes us appreciate short nights and electric lighting. 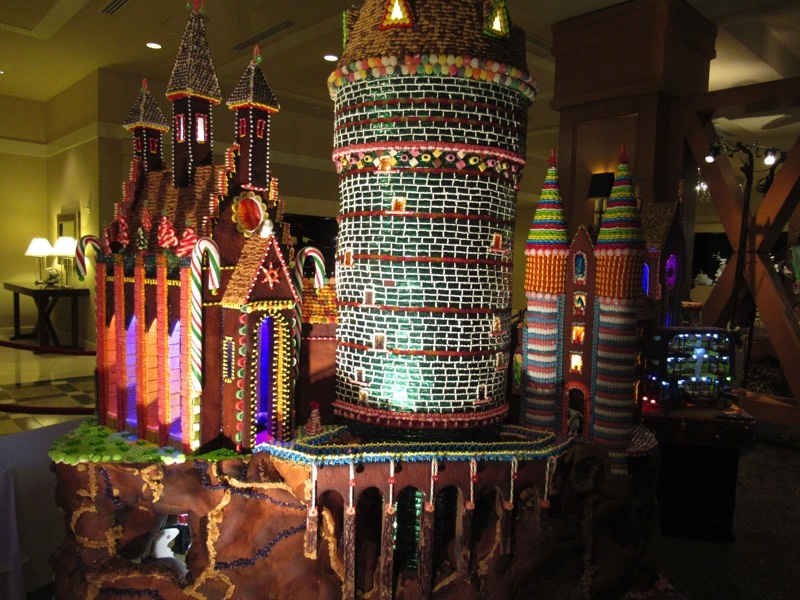 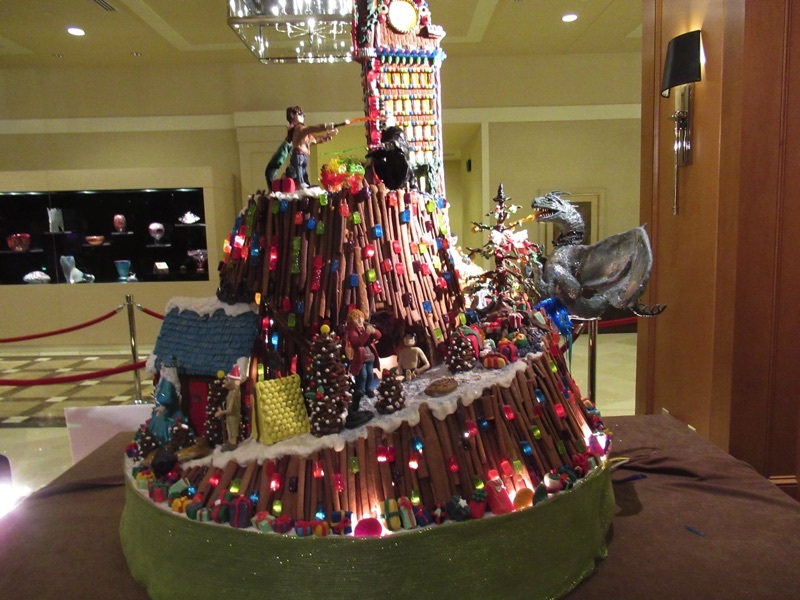 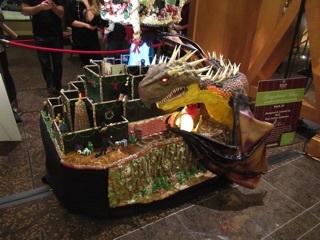 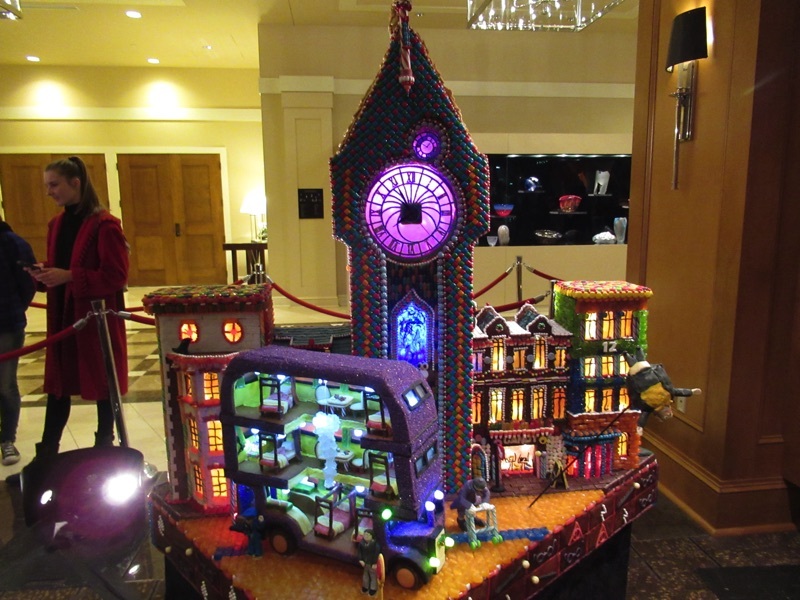 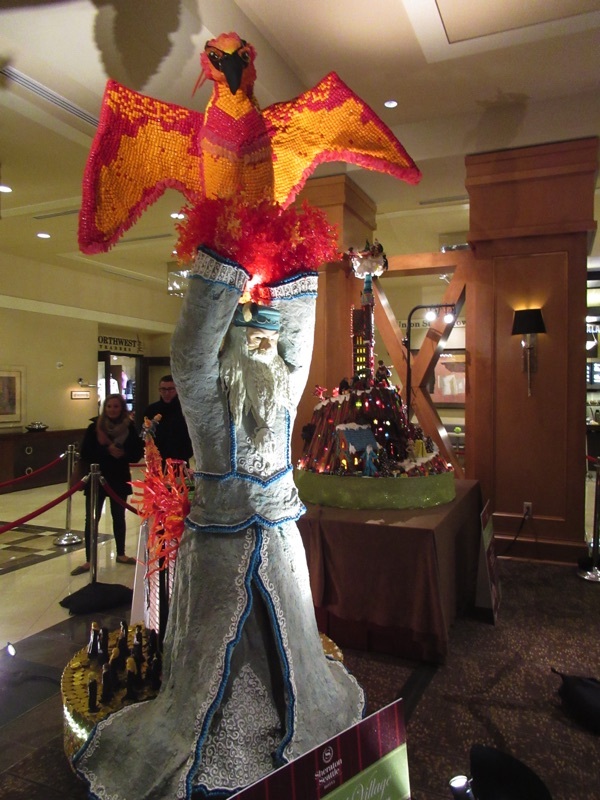 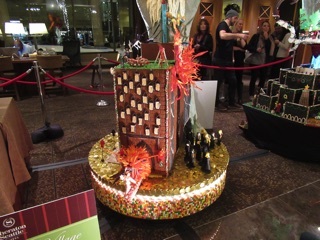 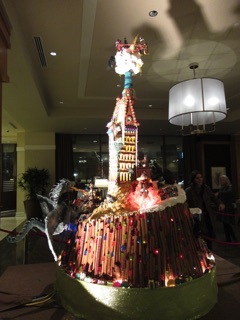 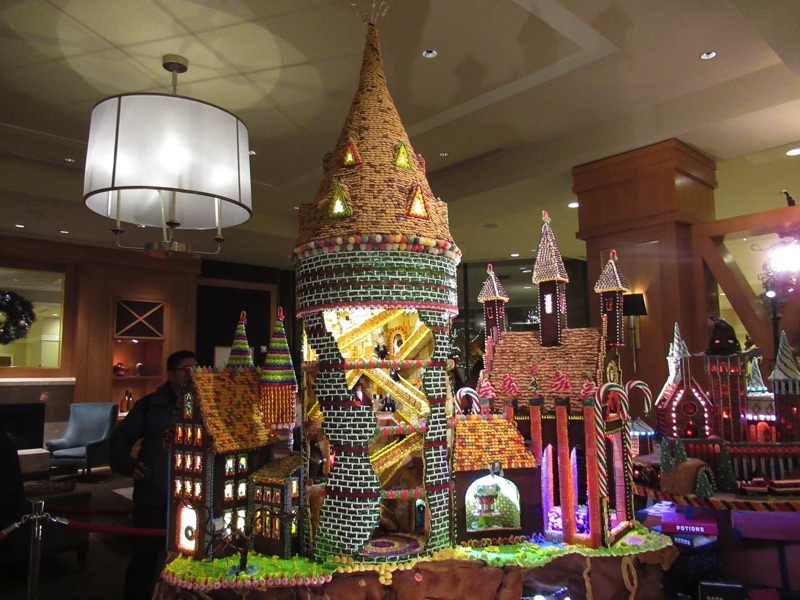 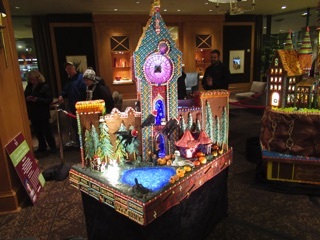 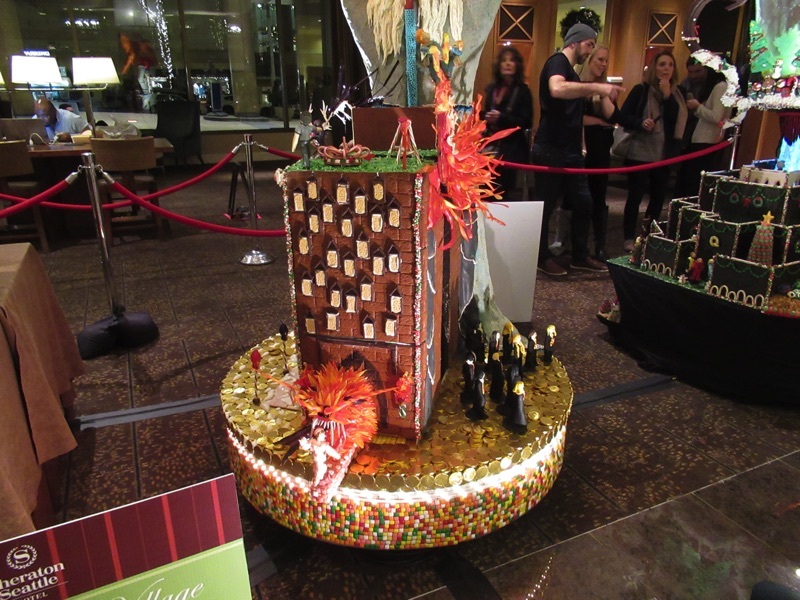 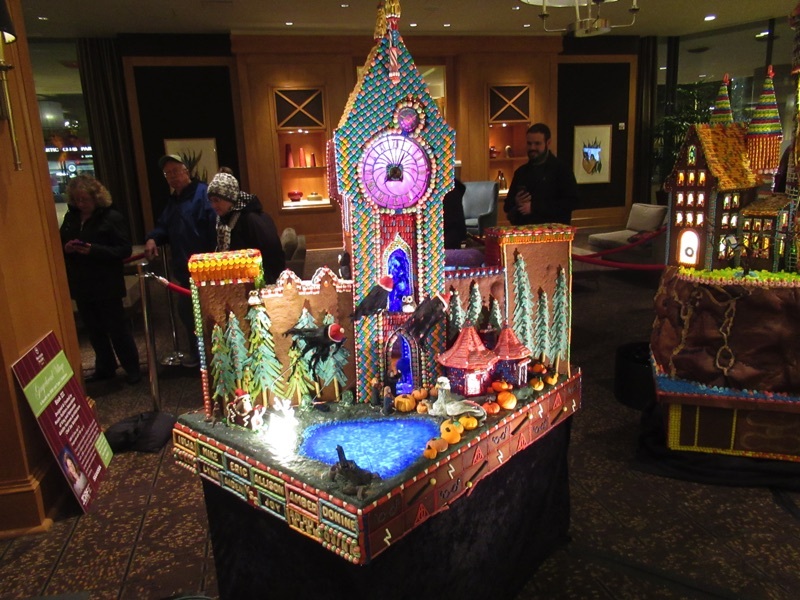 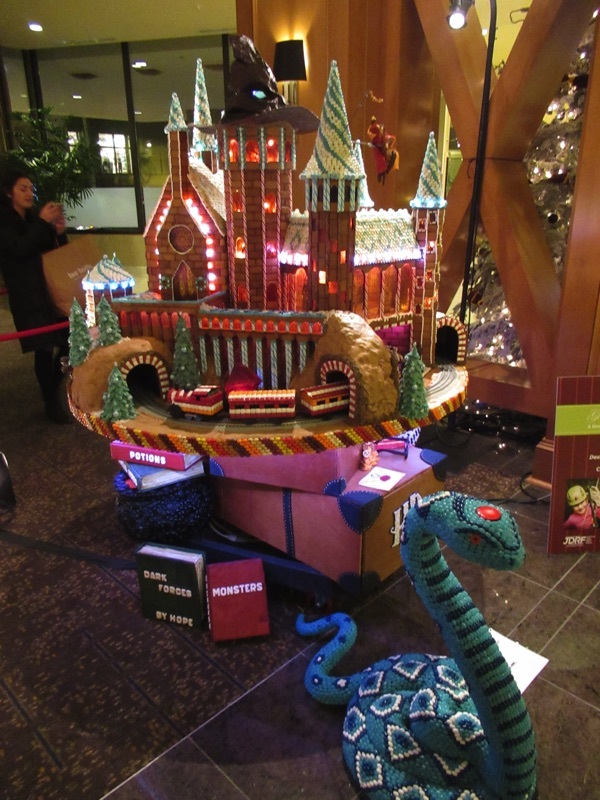 We watched the sunset, then we set forth for the Sheraton lobby where we admired this year's gingerbread competition. 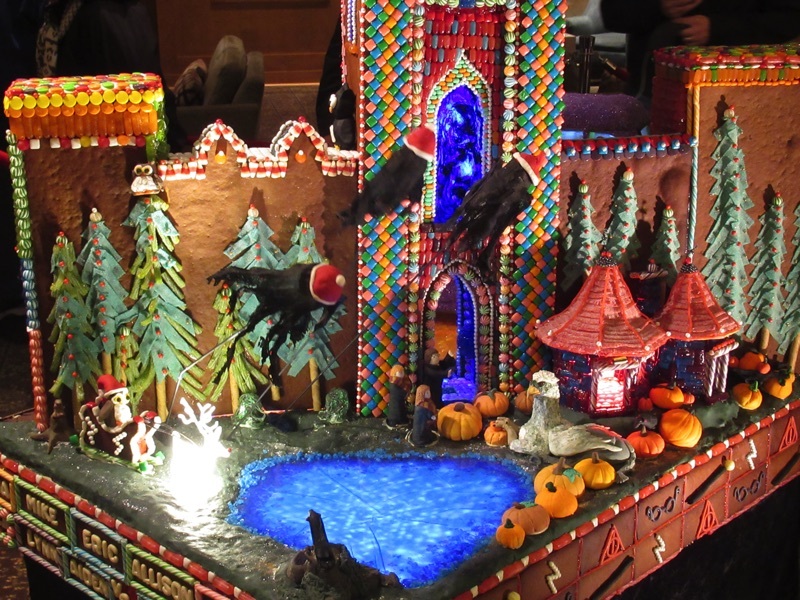 This year each confection was based on one of the original Harry Potter books, so we had a fine time exploring Hogwart's and reuniting with the old gang. 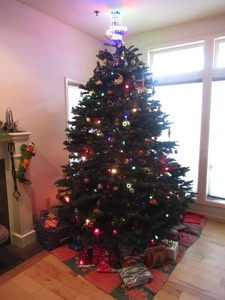 Rowling really did capture the magic of Christmas. Is that the goblet of fire?